Made from 100% Cotton fabric, these bibs are Tough and Soft with a washed finished. 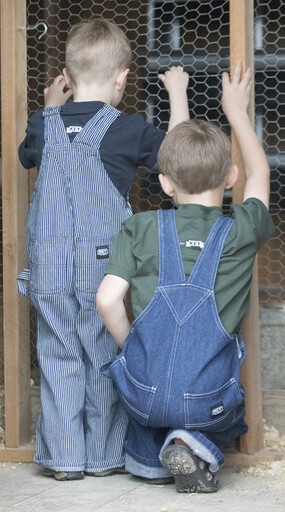 So, Pass on the tradition of KEY Bib Overalls to the next generation with the Premium Kid's Bib Overall. KEY offers a variety of colors for boys and girls that are all washed to add comfort and a soft touch. Kids will be able to store lots of things with the variety of pockets and with the other features they will look just like the adults. Every kid should have KEY Hickory Stripe Bibs!